I used to love going to Yufa in Whitehorse Road, Croydon; located just around the corner from Limes Road studios, Kebabs and Pizza were often scoffed here in between music sessions and Anglo-Indian shenanigans. From memory, it was originally located a bit further up the road, but they were so reliant on our business that they moved 20 or so shops closer to Alex’s place. 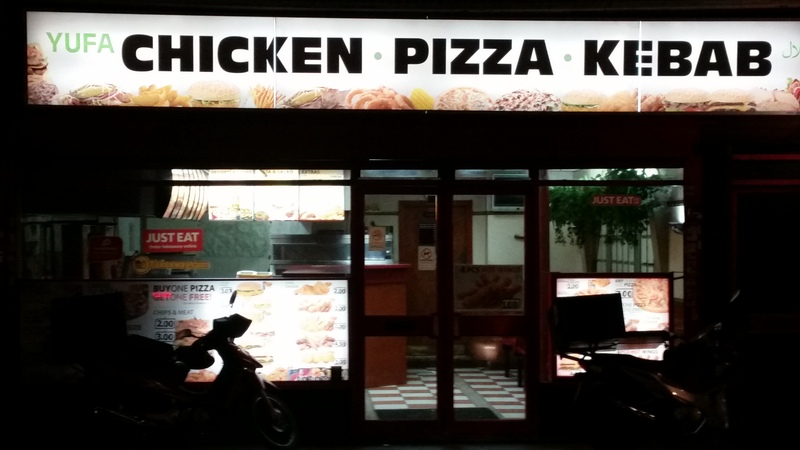 This entry was posted in Food and tagged croydon, kebab, pizza, whitehorse road, YUFA on November 30, 2015 by Kevin.